﻿ aFIRST Hotel Myeongdong, Seoul | FROM $70 - SAVE ON AGODA! 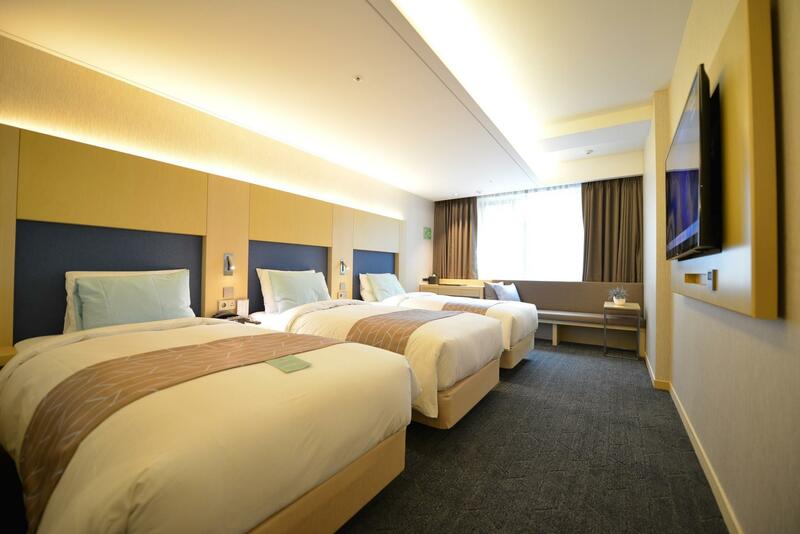 Have a question for aFIRST Hotel Myeongdong? "Location is perfect in Myeongdong, steps from plenty of restaurants and cafes." "Nearby a lot of place that can visit"
"Clean room, facility still pretty new, close enough to the subway station." 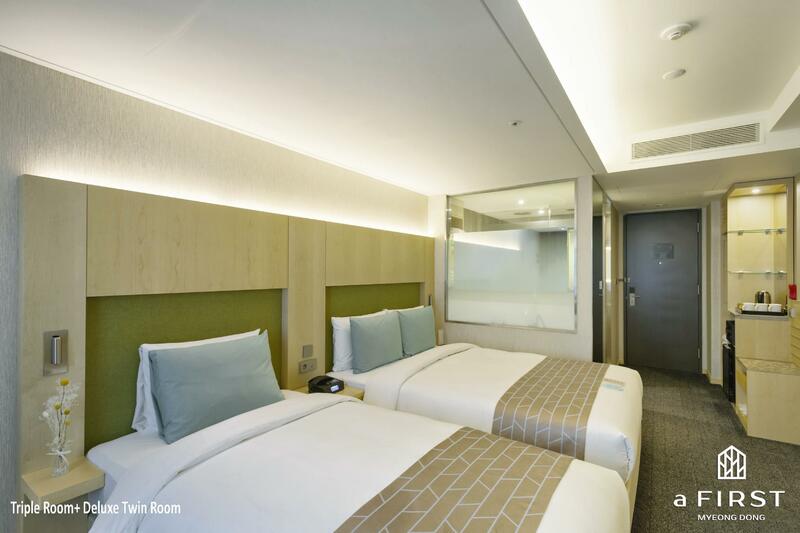 "This hotel is less than one year old so everything is clean..."
Situated in Myeong-dong, a FIRST Hotel Myeongdong is the perfect place to experience Seoul and its surroundings. The city center is merely 0 km away and the airport can be reached within 70 minutes. With its convenient location, the hotel offers easy access to the city's must-see destinations. 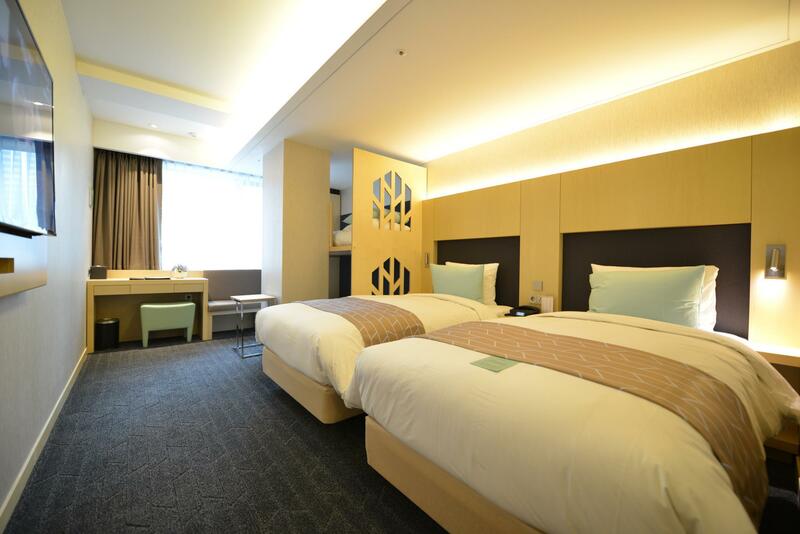 At a FIRST Hotel Myeongdong, every effort is made to make guests feel comfortable. To do so, the hotel provides the best in services and amenities. Top features of the hotel include 24-hour room service, free Wi-Fi in all rooms, 24-hour security, laundromat, postal service. All guest accommodations feature thoughtful amenities to ensure an unparalleled sense of comfort. The hotel offers wonderful recreational facilities such as fitness center to make your stay truly unforgettable. Whatever your reason for visiting Seoul, the a FIRST Hotel Myeongdong is the perfect venue for an exhilarating and exciting break away. This hotel is less than one year old so everything is clean and nice. The room is nicely designed and all amenities are provided. However, the pillows are too low, therefore did not provide a good support for the neck. In addition, the room temperature is set at 28c, really too warm to get a good sleep:( the hotel provided free shuttle to make attractions which was a bonus. All in all, a good hotel if they could improve on the pillows and lower the room temperature. Dear judy ! Thank you for staying at a FIRST HOTEL and for taking the time to share your experience. We appreciate your positive comments with regards to our hotel. We strive to provide a high level of personal, instinctive service to ensure as a good stay. Please know that your appreciated comments have been taken up by the concerned departments for a detailed review and an improvement where needed. We look forward to welcoming you back again soon. Thank you! We stayed 5 nights. Very new & clean room. Good location. Though seems a distance from Myeodong but it's actually only less than 10mins walk. They have regular shuttle service to few attractions. There is subway station very near the hotel . Go check out at the hotel websites. Really really great hotel to stay.!! Great Location. Great Value. Rooms was spacious enough for three adults. The shuttle service to the different attractions was very helpful for us. The driver is very friendly. Front office staff were also very accomodating. Will stay here again. Spacious and clean room. Friendly and helpful staff. Close to Myeongdong and restaurants. good price good location, spacious with kids, walking distance to MyeonDong! First time difficult to find the hotel, with disc price this hotel value for money. We stays total 6 days in this hotel during winter dec month to early Jan 2019, will be good if AC in room not off out of service, open window during stays at night sometimes smelly of smoke or restaurant nearby hotel area. Location is perfect in Myeongdong, steps from plenty of restaurants and cafes. A block or two from Lotte Department store and subway stations. Easily accessible and parking right on the premises. Only downsides are rooms are a bit small and thermostat doesn't work very well. Otherwise, a great hotel. Excellent location at a good price. Centrally located in Myeongdong just a couple blocks from the subway and Lotte Department Store. Many restaurants, cafes, and pubs within steps from the hotel. Free parking was a huge bonus. Everything was excellent and would recommend. Dear Jeff Greetings from aFIRST Hotel Myeongdong. I am pleased to read that our facilities and location had contributed to a memorable experience for you. It is our highest aim to present guests with the best of service no matter where they are in our hotel. I have shared your review with my management team and you just made our day! Please visit us again soon as we love to have the pleasure of welcoming you back as our regular guest! Our 6N stay was from 13-19/Dec. The hotel location is good, accessible to metro stations, shopping (Lotte, and street shops) and eateries. From Incheon Airport, we took subway from Seoul Station to City Hall (Exit 4), the nearest station travel from airport, about 10 mins walk from City Hall to the hotel. Landmark: McDonald, Angel-in-us Cafe at cross junction. During winter, only room heater was in use, aircon was not available. The window could be open to receive cold breeze. The toiletries are well-supplied, water flow is strong. Cons: Need to 'climb up' to the narrow bathtub for bath, and young children or those with knee problem must be careful. Drinking water (hot and cold) was available at the level corridor, very convenient, so no need to boil water if too tired to do so. We would definitely choose this hotel again in our next visit. Dear ching ! Greetings from aFIRST Hotel Myeongdong. Love your headline and your review. I am delighted to hear that you had a great experience with us. As you've mentioned, the location of the hotel is really great. The hotel is located at central of Seoul where you can find foods and places of interest in short walking distance. Please know that your appreciated comments have been taken up by the concerned departments for a detailed review and an improvement where needed. Thank you for choosing to stay with us and we hope to have the opportunity to welcome you back again. See you so soon! Dear C, Thank you for staying at a FIRST HOTEL and for taking the time to share your experience. We appreciate your positive comments with regards to our hotel and will continue to provide comfortable and friendly accommodations to the guests. It is our highest aim to present guests with the best of service no matter where they are in our hotel. I have shared your review with my management team and you just made our day! Please visit us again soon as we love to have the pleasure of welcoming you back as our regular guest! Thank you! It was tricky to find the hotel from the airport bus stop but after we found the way, it's easy to walk to the subway station and also less than 10 mins walk to Myeongdong. The room is nice and clean, Staffs are helpful and speak English well. We booked for twin bed room for 1 adult and 1 child (10 year old). The room was equip with chargers for all sorts of brand cell phone/devices. They have "meet & greet" tea /coffee and cookies Mon-Fri from 5pm-7pm. It great location 15 mins walk to City Hall, and 10 minutes walk to Lotte Department store & Myeongdong underground shopping. Many eateries near by, Paris Baguette, 7Eleven, ect. They also offer shuttle service to near by locations, Seoul Station, Namsa Tower, Gyeongbokgung Palace, however even with the set displayed schedule, you need to let the staff know. Staff very friendly and helpful. The only thing was the "aromatherapy" scent as you enter the hotel, it can be strong, and the walls are a bit thin as we can hear other occupants close the door or talk loudly in the hall way. But overall great deal, location and staff. Dear, Christy Greetings aFIRST Hotel Myeong dong. Thank you for staying at our hotel and for taking the time to share your review. We appreciate your positive comments with regards to our hotel central location, happy hour (meet&greet) service and value for money. As you've mentioned, the location of the hotel is really great. The hotel is located at central of Seoul where you can find foods and places of interest in short walking distance. I have shared you review to my management team and you just made our day! Thank you for choosing to stay with us and we hope to have the opportunity to welcome you back again. See you so soon! 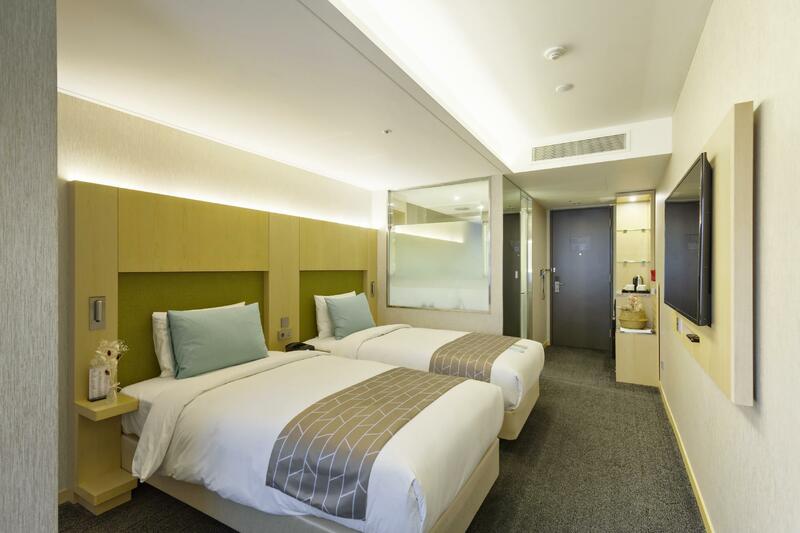 Affordable value for money hotel in Seoul nearby to Myeongdeong. The only downside is the central air conditioning and design of the room. Other than that, staff were friendly, bed was comfortable, shuttle bus was provided and hotel is nearby restaurants. Dear, Amy Thank you for staying at a FIRST HOTEL Myeong dong and for taking the time to share your experience. We strive to provide a high level of personal, instinctive service to ensure a so good stay stay. I am pleased to read that our facilities and location had contributed to a memorable experience for you. Please know that your appreciated comments have been taken up by the concerned departments for a detailed review and an improvement where needed. Thank you for choosing to stay with us and we hope to have the opportunity to welcome you back again. See you so soon! I was with my friend in a twin room. The beds and pillows were very comfortable and the air con kept the room at a steady temperature. It was very clean, the shower was amazing, the tv was huge and there was enough room for our suitcases opposite the beds. It was exactly what we needed. Also, the people at the concierge desk were always incredibly helpful. A very good stay- I would come here again. Dear, Dewi, Greetings aFIRST Hotel Myeongdong. Thank you for staying at our hotel and for taking the time to share your review. We strive to provide a high level of personal, instinctive service to ensure a so good stay stay. I am pleased to read that our facilities and location had contributed to a memorable experience for you and Glad the hear that you found our front office staff pleasant and friendly. As you've mentioned, the location of the hotel is really great. Deoksukgung Palace , Myeong dong district and Touristic spots are located just in short walk . As well as 4 different subway stations are near which can provide our guest convenience of travelling around Seoul. The hotel is located at central of Seoul where you can find foods and places of interest in short walking distance. Thank you for your time and we wish to have the opportunity to welcome you back someday. The room is not small and clean but the restroom is quite small. Good location, there are many restaurant and convenience stores around. However, the airport bus stop is quite far from the hotel. You need to walk around 15mins. Overall was good. Dear guest, Thank you for staying at a FIRST HOTEL and for taking the time to share your experience. We appreciate your positive comments with regards to our hotel. As you've mentioned, the location of the hotel is really great. The hotel is located at central of Seoul where you can find foods and places of interest in short walking distance. We hope you had a very pleasant journey home to Thailand and our team is looking forward to welcoming you again! Located in the quiet area of Myeongdong which I appreciate. Surrounded by many restaurants and cafes, and a short distance from Eujiro Station. It was also a short walking distance to MyeongDong. My room was spacious and had sufficient space to put up to 3 luggages. There are also USB charging ports available. Hotel is also near a KAL Limousine station that rides towards Incheon Airport. All in all, a really great stay. excellent location. near to airport bus location. comfortable bed. except for the air conditioning system as during winter all hotels will change to a heating system instead of cooling system. however, luckily hotel has got portable fan.